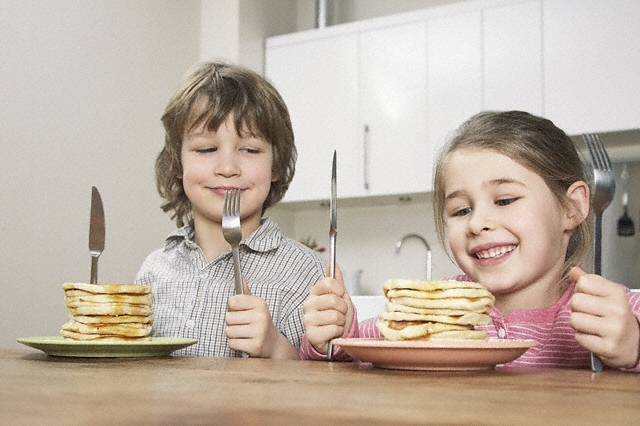 Home > Cabinetry and Counter Top Care	> Things Kids do to Kitchen Cabinets-Problems occur as they get older. Drawers as Steps-Lower drawers make great stepping stools for our little ones as they begin to prepare their own breakfasts, lunches and dinners. 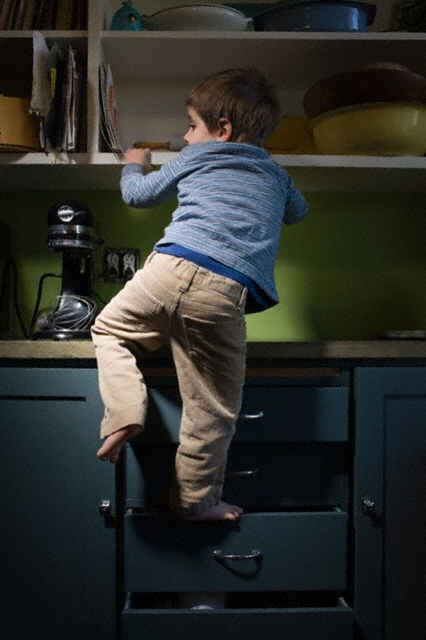 As they have a need to get higher because they are not tall enough to reach what they are hungry for, the drawers can be demolished and broken as they use them as a means to get what they want from the top of the kitchen cupboards. They step on every part of the drawers, never thinking that it may not be strong enough to support them. The decorative faces, supporting sides and drawer bottoms get stepped on as the hunger for whatever it is that is driving them to not think about what they are doing with their shoes compels them to gradually destroy the drawers. Upper Cabinet Doors as Leverage– Here again they kids want something in the upper levels of the wall cabinets, so the handles on these cabinets become great leverage tools for reaching higher. As they hold on to the handles of the upper cabinetry, they jump and pull at the same time reaching up into the top shelves of the cabinets.This usually causes cabinet doors to become out of adjustment and if the children are healthy enough, their weight can even cause screws to be pulled out. If a door comes crashing down on the countertop, there is going to be a few major problems that will need to be fixed. Shoe Slapping the Base Cabinet Doors-This one we are familiar with, the kids use the countertop as a “push-up support” to get on top of the counter. As they attempt to climb higher their shoes kick and slam against the lower cabinetry doors, leaving marks and in some cases even chipping the doors. Take a moment to educate your children about handling the kitchen cabinets with proper respect. By supplying them with a step stool many of the things I have mentioned, as potential problems, may not ever occur. 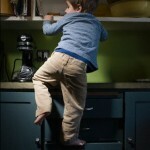 If the drawers or doors become out of adjustment or begin to become difficult to operate, it is possible that the children have been jumping, pushing, kicking and pulling on the kitchen cupboards. Kids, when they get busy doing things with their friends they still may abuse the kitchen cabinets by not following the rules or refusing to use the step stool. Keep an eye out for warning signs of problems beginning to develop and you will be able to avoid having to do major repairs at a later date. 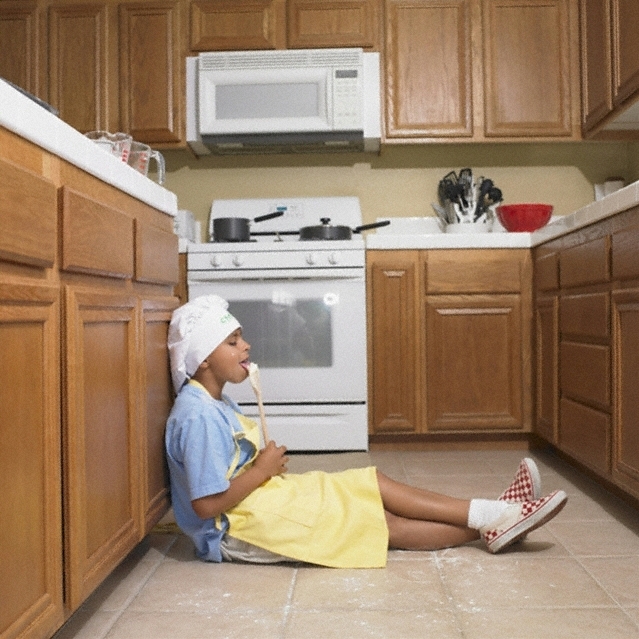 Hopefully these few tips will help you protect against kids breaking your kitchen cabinets.